If you feel you’ve had enough to drink and should not drive in the Houston area on New Year’s Eve and in the early hours of New Year’s Day, there are ways to get home that will help you avoid a DWI and help you avoid killing yourself or killing others on the road. Houston Metro buses and lite rail will be free from 6 PM until 6 AM on the night of the 31st and the morning of the 1st. Houston AAA is offering free tows for folks. This offer includes people who are not AAA members. For a free tow and ride home, the AAA number to call is 1-800-222-4357. Ask for a “tipsy tow” and an emergency roadside services truck will come to your location and take you and your car anywhere within 10 miles for free. Tows can be over 10 miles as well but the user will have to pay the excess mileage charges. Or you can just call a cab. Police will be out all over the city and Harris County for the holiday weekend. Anybody who drives in our area knows that our roads are a freak show of anger and idiocy in the best of circumstances. Here is a Houston Chronicle story about an area woman who was hit by an alleged drunk driver on Christmas Eve while she was out on her property checking her mailbox. Don’t be part of a fully avoidable problem over the holiday weekend. If on New Year’s Day you make use of the services of a person who normally would receive a tip, please be certain to tip that person the same time-and-a-half rate you would expect to be paid for working a holiday. Cab drivers and waiters are working people just as you are. If you are not paid extra for working a holiday, please do not take it out on others. The rights and status of working people in this country are tenuous enough as it is. How we treat other working people is a measure of our own self-respect. Please respect the labor of others just as you would hope others would respect the hours of your life that you spend at work. 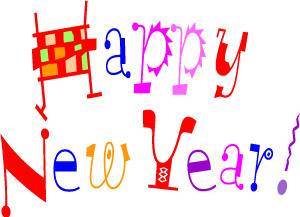 Please consider that Monday, January 2 is the day that many working people will get the New Year’s holiday. Tip well on that day as well. While , of course, tipping well and treating other working people is something we should do each day, a holiday offers an extra opportunity to acknowledge our common role as people who must work for a living. We will be better able to advocate for each other as working people when we get more into the habit of treating each other with respect in daily circumstances. 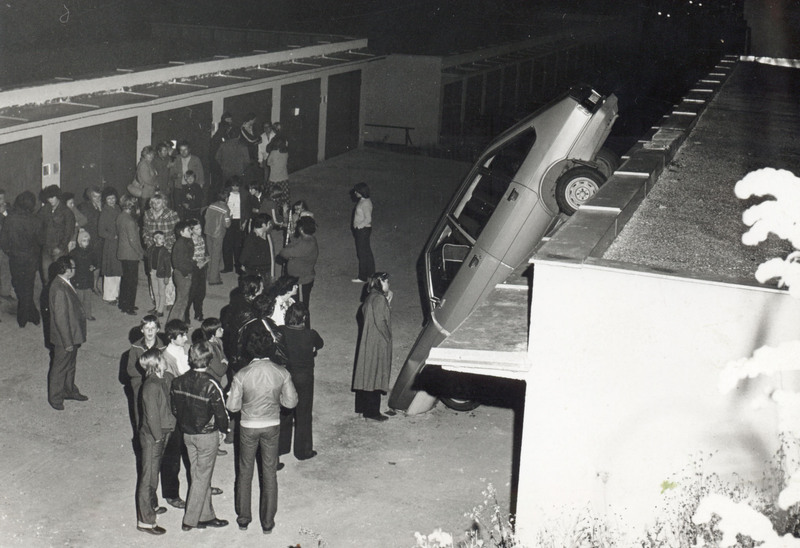 And, also, please don’t drink and drive on New Year’s Eve. 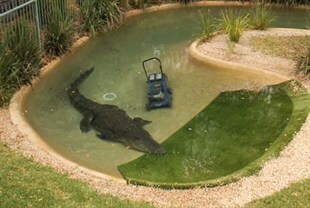 I feel I’d be remiss not to post about the saltwater crocodile in Australia that grabbed a lawnmower and watched over it quite closely. The crocodile was in time tricked into giving up the lawnmower. Here is a link to a video of the lawnmower abduction. This took place at the Australian Reptile Park in Somersby, Australia. Here are facts about visiting Australia. I’ve never been to Australia. If you decide to visit Australia, please be certain to tip service workers well and to be respectful of the working people you encounter on your trip. Here is the website for Occupy Sydney, Australia. A saltwater crocodile is a large and fearsome creature. Here is some history of lawnmowers. I know this is a freak show kind of story, but that does not mean you can’t use it to learn something new. So much of what goes on that we might view as more serious news is a freak show as well. Given your expectation that giant crocodiles would be aggressive and unpredictable, you could argue that this story makes more sense than does much of the daily news. Here are facts about reptiles. Here is a history of lawns. I hope folks are having a nice holiday season. 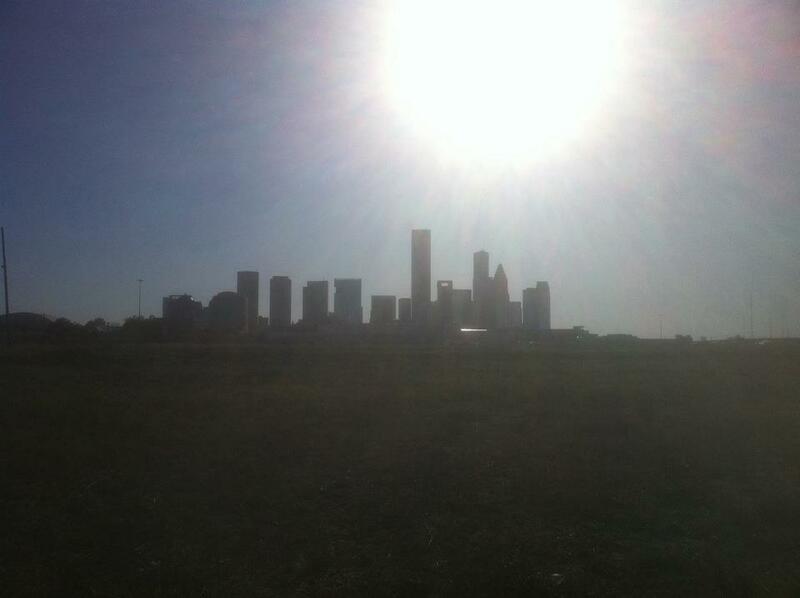 Above is a skyline of petrochemical facilities and a Goodyear plant as seen from Milby Park in Houston. The body of water is Sims Bayou. 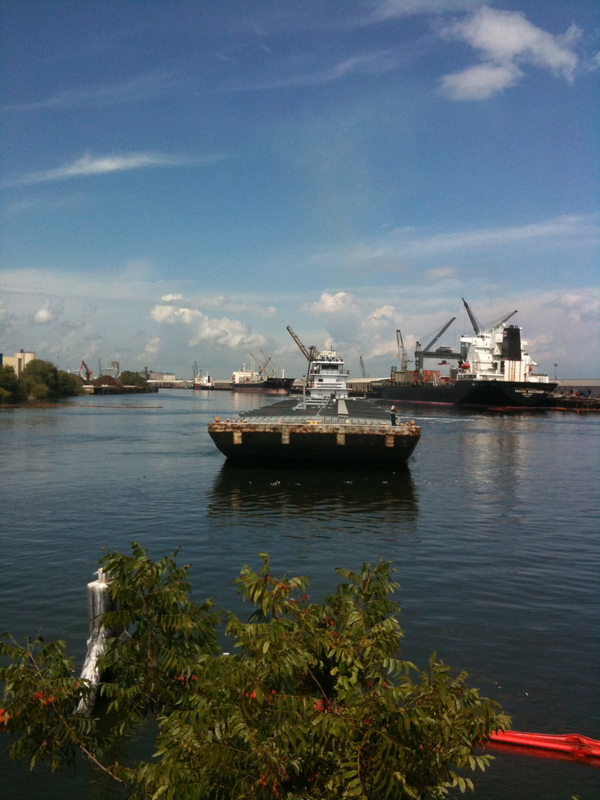 While significant issues of air pollution and water pollution exist in Houston, this is not the point I’m making. I found this an interesting contrast. Contrast provides much of the substance of life. There is a lot to be seen and observed in everyday life. All you have to do is look around and pay some attention. Everybody has the ability to observe everyday life and to consider what they see. I was out and about in Houston today. The picture above was taken today and conveys the fact that it was quite sunny. I was thinking as I walked and drove around about the need to take everybody as individual, while at the same time not forgetting that everyone is connected. These two imperatives can draw upon different internal resources, and can highlight competing strains of thought about how to view the world. Also, it was so bright and sunny as I traveled around the big city today. Individual things stand in such clear relief when so clearly lit. Still–I was not swayed from my thoughts. Being under the light of the sun was a unifying aspect of the things I saw. In the year ahead please consider finding the internal resources and flexibility of mind to accept the people you encounter as individuals and without preconceived notions, while at the same time grasping that what happens to one person happens to all people. While you may be more tired of your relatives than you are of your Christmas Tree, it is the tree that you will have to ditch. 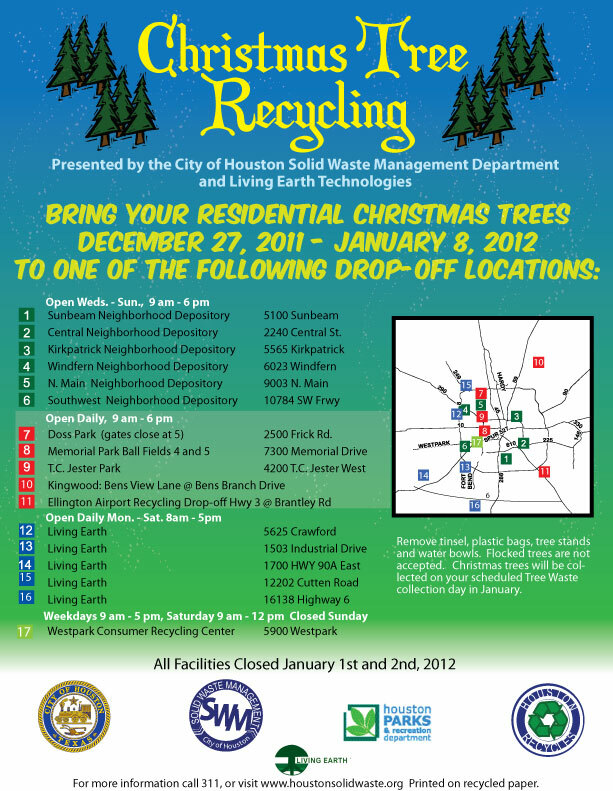 The City of Houston offers Christmas Tree recycling services. This is just one of the many ways that government helps everyday people. The City of Houston has also been nice enough to make available the flier you see at the top of the post. Free materials for bloggers to use is indeed a fine city service. Here is what the City says on its web page about Christmas tree recycling. 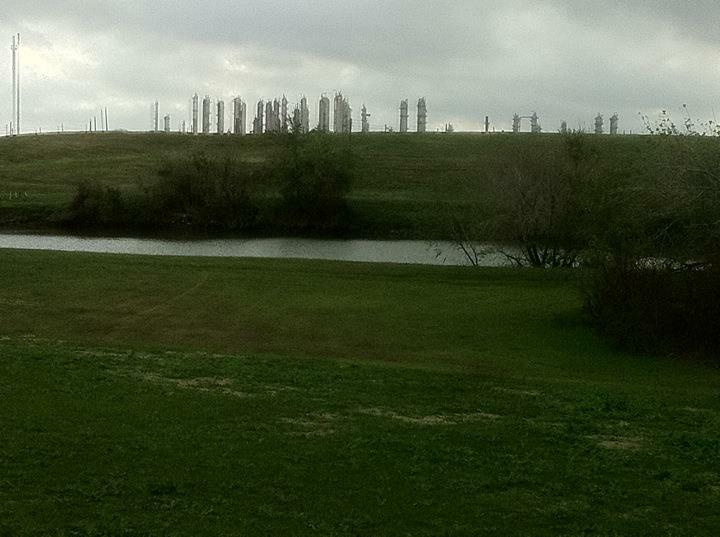 Every year, Houstonians discard thousands of used Christmas trees that could be recycled into useable items. The COH is encouraging residents to recycle their Christmas trees to give them a new lease on life and make the recycling of Christmas trees a family tradition. Please remove tinsel, lights, ornaments, plastic tree stands and plastic water bowls from the trees. The recycled trees will be converted into mulch, which will in turn help save landfill space and help preserve the environment. That is very helpful information. Here is a Houston Chronicle story about various places you can bring your tree in the Houston area. Of course–as good a deed as recycling your tree may be and as good as it make you feel–this does not change the fact that climate change is real, and may well be due to human activity on the Earth. The problem is that Republicans, and the wealthy interests that own the Republican Party, won’t even allow us to collect the data that would help resolve this issue. And if climate change impacts the poor around the world more than the comparatively wealthy? That is a problem for somebody else far away. Our pious nation lives the Christmas spirit of consumption all year round. Here is a website that has a lot of information about Christmas tree recycling and, also, offers a list of links from around the nation about where you can recycle your tree. Please have a nice and safe Christmas Day. Now step away from the computer or turn away from the mobile phone, and go say hello to family and friends. If you’ve had enough of such people by now on the holiday, then go read a book. What is open on Christmas Day? Whatever is open on Christmas Day, do you really need to go out to anyplace that is open on the holiday? If you do, please treat the staff of such places very well. Please tip very well. It is true that I often went out to a bar where a band was playing on Christmas night when I was younger. Christmas night was always a big bar night. Convenience stores are open on Christmas as are some restaurants. Just please treat people well. And don’t forget that the 26th is the federal holiday for many people. Tip well and treat people well on that day as well. Clearly these are things you should do each day–But you get what I’m saying. How we treat other working people is a measure of our self-respect. You see the picture of Santa at the top of this post. Santa is checking who is naughty and who is nice based on how we each treat the 99%. Felony Charges Against Occupy Houston Protestors—When Will We Realize That The Freedom Of All People Is Connected? The Occupy protestors arrested by Annise Parker’s police and charged with a felony for engaging in civil disobedience by alleged moderate DA Pat Lykos are a matter of concern for every liberal, progressive, and civil libertarian in Houston and Harris County. The freedom of all people is connected. This is the case if the issue is the Houston police beating of Chad Holley, or anti-gay slurs by a member of the Houston school board. Everybody is connected. The freedom of all people is connected. When are civil rights groups in Houston and progressive voters in Houston going to realize this most basic fact? When will all people realize this most basic fact? Here is the latest report on the felony indictments from the Houston Chronicle. Here is the Occupy Houston response to the indictments. 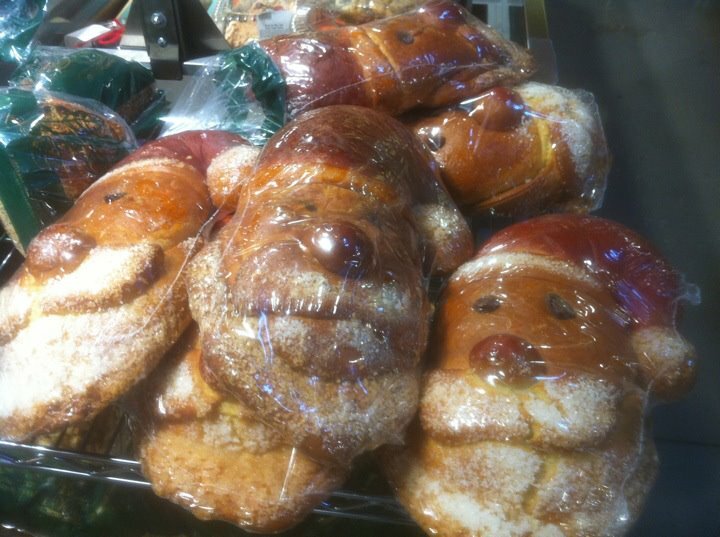 Here are some terrifying Santa face breads that I saw at the supermarket a few hours ago. I think they yearn for nothing more but to come to life and cut our throats as we sleep on Christmas Eve and Christmas morning. Occupy Houston and Occupy Austin protestors are facing felony charges for taking part in civil disobedience earlier this month outside the Port of Houston. The felony charges had at first been dismissed by a judge, but have now be reinstated by a Harris County grand jury empanelled by the Harris County District Attorney’s office. There is little doubt in my mind that these charges are about scaring off further acts of protest in our county. This is an issue that should be of concern to politically involved people on all sides of the aisle. The rights of all are at risk when any group of people is singled out for excessive punishment by those in power. These excessive charges should be recalled when anybody gets to thinking that incumbent Harris County DA Pat Lykos is somehow more moderate or reasonable than others who have held her office in recent years. While we are all busy with the holidays, we cannot forget these Occupy patriots who are now facing serious jail time for charges that were at one point dismissed. Now that we’ve hit national news, thanks to MSNBC, I believe it’s worth collating some pieces of reality together for anyone confused about the happenings of GULFPORT ACTION and #D12 here in the mighty H-Town. The inspiration came from the first of recent port shutdowns in Oakland. In Houston, though less fierce, we were still interested in getting noticed. Interestingly, it may make for different news than we originally planned for (which is okay). For both Austin and Houston, on December 12th, Occupy Gulf Port day, arrestees were detained and jailed for “use of a criminal instrument” (according to legal record), something that didn’t get reported by Oakland or the other port occupations across the nation. The schedule for the day was set down like thus. If you aren’t yet familiar with this “criminal instrument” in reference here, the tactic is called the “sleeping dragon.” Protestors on #D12 used this to stay chained (voluntarily) by PVC pipe, arm by arm, while laying down in the road. This way, they make it much harder to individually zip-tie and arrest in isolated fashion. All things come to a close; in this case, the doors were literally closed. In the midst of the human mic loud at work, HPD officers block off the crowd from the people in the street and erect an inflatable red isolation room, as seen in this video. Interestingly, this was also the first example, at least in Houston, of the Police and Fire Dept working together to erect an inflatable tent (ah the irony). Why? Occupy Des Moines patriots have set up shop at the Iowa headquarters of the Obama 2012 campaign. As the life of Vaclav Havel illustrated–Words and ideas matter. As Mr. Obama rakes in the corporate cash and extends the internal surveillance state, he should be questioned and challenged. The fact that legitimate differences do exist between the two major parties does not mean that you let up on anybody. Here is Occupy Des Moines. And don’t forget the G8 and NATO summits in May of 2012 in Chicago. These are events that very much need the presence of Occupy and other such patriots. It is the first day of winter. 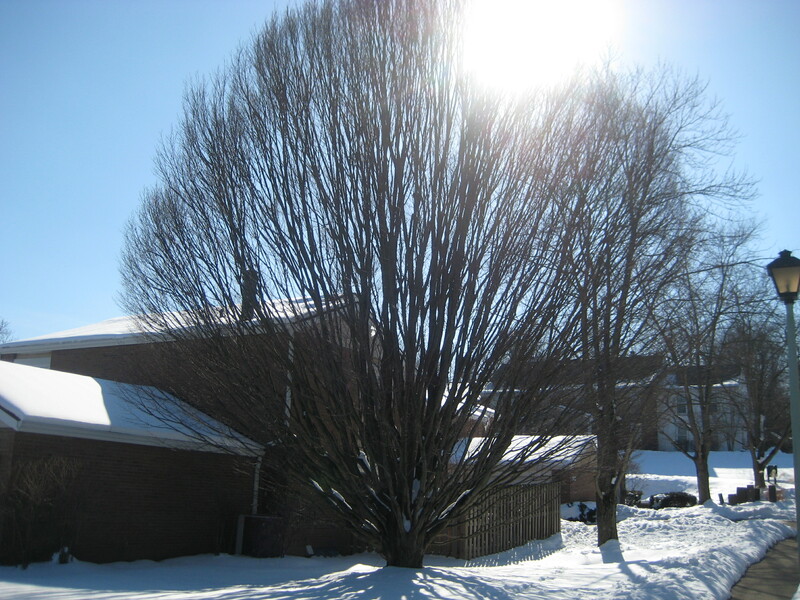 Above is a picture of a tree in winter that I took in Cincinnati either last winter or the winter before. The days will be getting longer now. That’s great news. There is always something to look forward to and to be hopeful about. Stay the course. I hope folks are having a great holiday season. You could say this post is a series of banalities. Yet I mean what I say here nonetheless. Here are facts about the winter solstice. The lighted dreidel I have in my home is a blast. 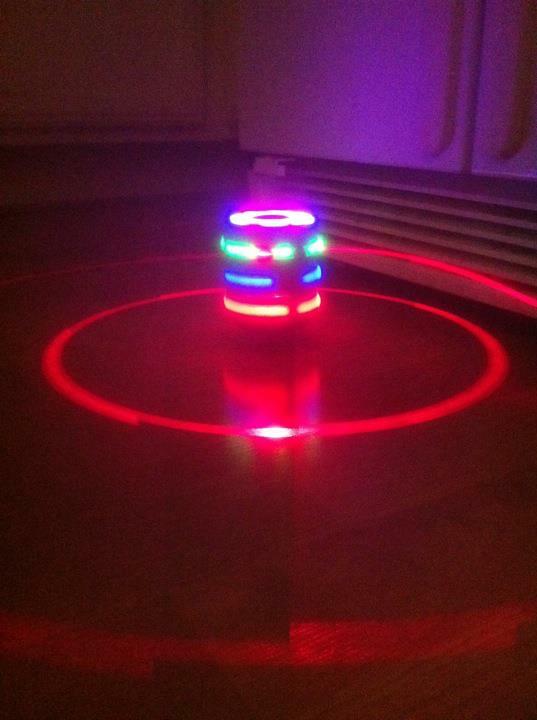 It spins quite fast and plays a song. I enjoy it all quite a lot. Here are some facts about dreidels. We have many dreidels in my home. Though only one that lights up and plays music. Hanukkah starts at sundown today 12/20. Here are facts about Hanukkah.